Merriam-Webster defines divorce as “the ending of a marriage by a legal process.” there is a significant difference between separation and divorce, as divorce is a legal process. Under Tennessee divorce law, a divorce must be “awarded” or “granted” by a divorce court. Generally speaking, there are two types of divorces in Tennessee: 1) uncontested divorce and 2) contested divorce. Spouses that agree can file an uncontested divorce, i.e. agreed. 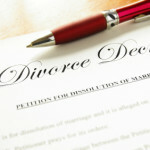 If the spouses cannot agree on all terms, then a contested divorce is filed. A contested divorce requires the divorce court to determine all of the legal rights and responsibilities of the parties throughout the divorce process. The court will enter a final divorce decree, which is a court order that must be followed by both spouses. Divorce laws are complex, and competent divorce attorneys will give clients information on divorce to adequately educate them on Tennessee divorces. Filing for divorce, a.k.a. 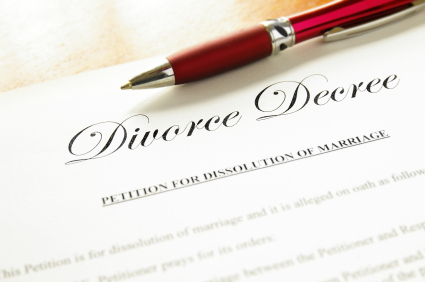 filing divorce, starts divorce proceedings in Tennessee. Once a spouse files for divorce, the divorce petition is served on the other spouse who has thirty (30) days to file an answer to the divorce complaint with the court. If the spouses agree on all terms, they will enter into a Marital Dissolution Agreement (MDA) and Permanent Parenting Plan (PPP) (if there are minor children). After sixty (60) days if no minor children or ninety (90) days if there are minor children from the date of filing of the Petition for Divorce, there will be a court hearing where the MDA and PPP are reviewed and approved by the court. Once the Court approves the MDA and PPP, a Final Decree of Divorce is entered by the Court. At Turner Law Offices, P.C., our competent, caring divorce lawyers provide excellent legal divorce advice. Our divorce attorneys give our clients lots of information on divorce so they can have the proper divorce law education to make important legal decisions. Getting divorced is an emotional process, and we ease the stress during this stressful situation. Call and talk to one of our family law attorneys today, or request a Free Initial Consultation online.